Set a party mood in your little doll’s nursery as you dress her up in this printed top and pyjama set. 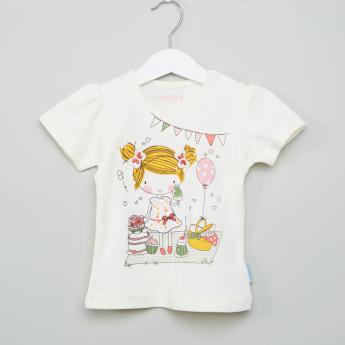 The round neck and short-sleeved top features a little girl with decorations for a birthday party around her, while the pyjamas feature adorable heart prints all over it. 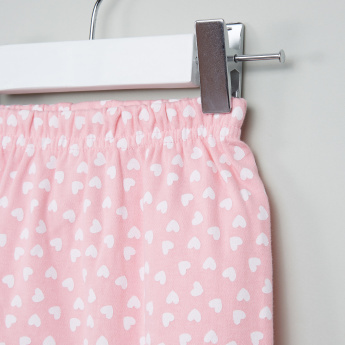 Soft and comfortable, this top and pyjama set will keep your baby girl snug and cosy all through the day. Features : Short sleeves top with shoulder snaps closure and elasticated waist line for proper fit.